Blessed with the perfect climate and topography for growing potatoes, New Brunswick’s climate is so potato-friendly, it actually enhances the flavor. Over 250 varieties of seed, table and processing potatoes are grown in the province. More than 200 producers, packers and shippers are directly involved in the potato industry. They understand the importance of responding to market trends and providing consistent service. From start to finish, growers ensure that their worldwide customers continue to receive the high quality products they have come to expect from New Brunswick. From the Andes, around the world, to New Brunswick and to your plate! That’s the journey of the potato and proof of its benefits as an important food source for people the world over. History tells us that when the Spanish conquistador Francisco Pizarro arrived in Peru in 1524, he found one of the Incas’ most important treasures. The Incas used potatoes as an important food source, and had been cultivating them for hundreds of years. But, alas, Pizzaro and his friends discounted this treasure and pursued Incan gold instead. Eventually, though, “the word got out” and potatoes began the long journey that led them to New Brunswick, and to your plate. Like the Incas, in their time, farmers in New Brunswick have recognized the food value of potatoes and cultivated them for over 300 years. When you buy a New Brunswick potato, you benefit from the history, knowledge, and expertise which has been passed for generations. Despite some claims to the contrary, the facts are clear. Potatoes are a very healthy food source. With the extraordinary 3 of New Brunswick potatoes added, you’ll be making an excellent food choice! Potatoes have had an interesting history in terms of “myths”. Because potatoes belong to the botanical family Solanaceae, in the 17th century, certain people believed it had connection to hallucinogenic plants from that family. The Botanical name given the potato is tuberous night shade. Long ago, people valued potatoes as an ornamental plant. The tubers below the plant were so delicious, however, that they remain the only part of the plant which is of interest. In France, during the 18th century, the potato was blamed for causing leprosy. Luckily, the Irish realized its food value and it was a staple of their diets during that same period. 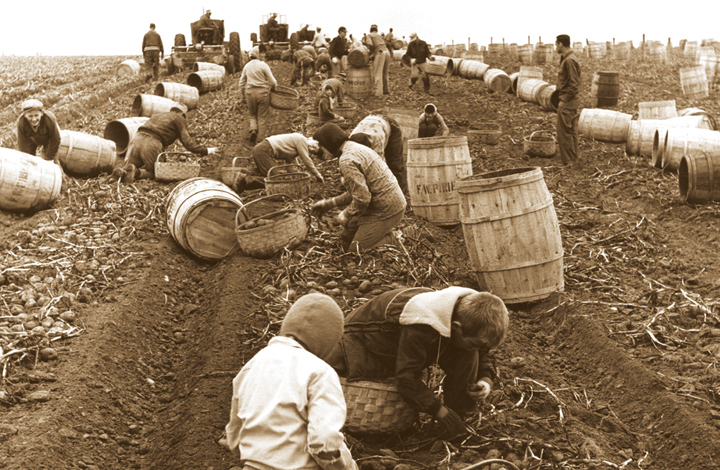 The importance of the potato was, sadly, demonstrated by the death of thousands during the Irish potato famine. 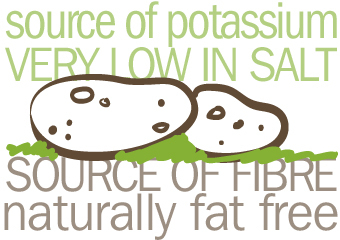 Yep, potatoes really are a fat-free friend from the Andes. 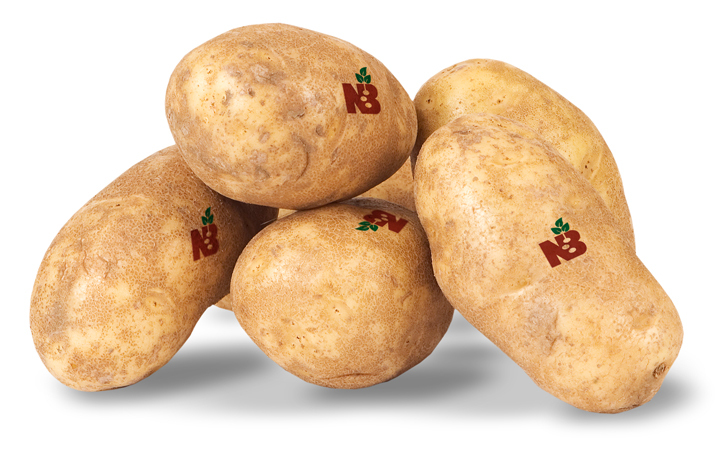 Try some New Brunswick potatoes today. Or ask your supplier to get you some.